Select barcode type and font (e.g. 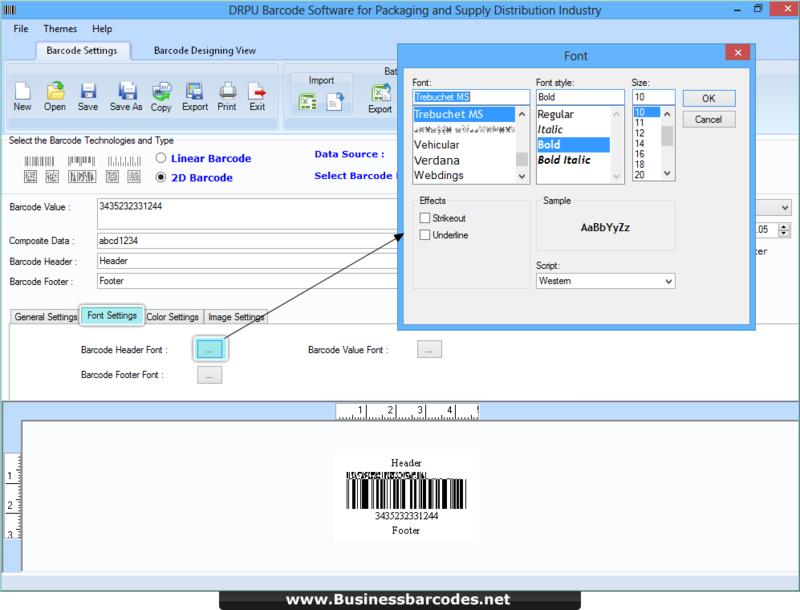 2D barcode and Databar Expended Font) and set header, footer and value from barcode settings option. 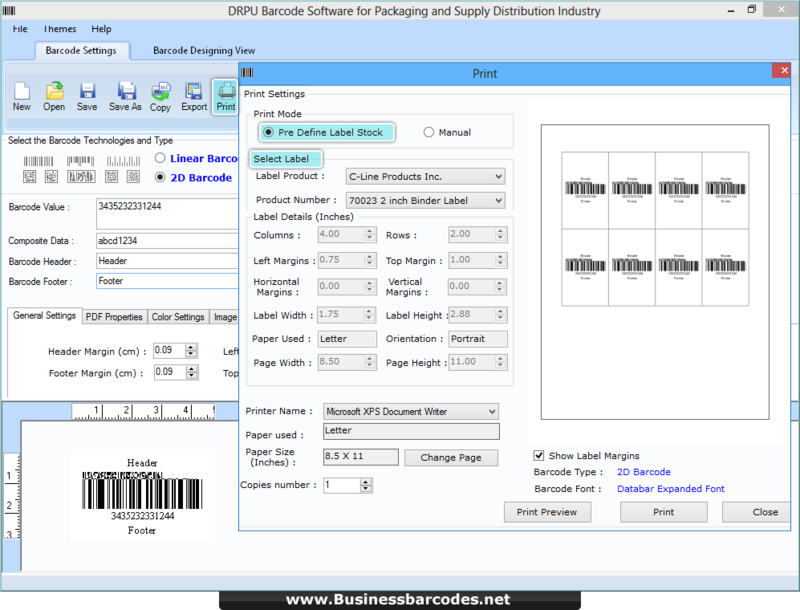 Using print setting window, you can print your designed barcode label by selecting print mode and set printing option.